Sales of new cars in the UK increased during August, but private buyers became more hesitant regarding the purchase of a new car. The official figures showed that 81,640 new cars were registered during the month, which was a 3.3 per cent increase on the same period last year. During 2014, almost 2.5 million cars were registered in the UK – the most in a calendar year since 2004. 52 per cent of the registrations came from fleet and business vehicles (equating to 1,296,936 units), the figure itself is an increase on the 1.2 million fleet vehicles registered in 2013. 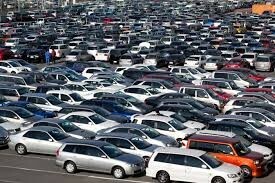 UK car sales have risen for the 27th month in a row, breaking a record that dated back to the 1980s. The availability of easy credit combined with heavy discounting and rising consumer confidence (not to mention fairly solid economic growth) has swelled the demand for new cars within the UK. Sales in the country are now out-pacing pre-recession levels. Europe’s car market is continuing to suffer, with record unemployment driving car sales to a 17-year low. Registrations of new cars across the European Union fell 5.6 per cent year-on-year to 1.13 million in June, the lowest since 1996, according to the European Automobile Manufacturing Association (AMEA). New car registrations were up 13.4 per cent year-on-year in June, according to the Society of Motor Manufacturers and Traders (SMMT). Around 215,000 new cars were registered last month, with the rise largely attributed to private buyers, again showing that the UK is a highly favourable market in which to buy a new vehicle. This is now the 16th month that new car sales have consecutively risen.